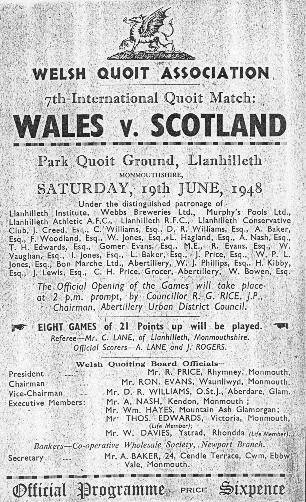 Quoits was a very popular sport in Llanhilleth, up until the early 1960’s and the Park was a regular venue for international games against Scotland. The programme covers the 1948 event. There are other quoit related items on our Archive site.